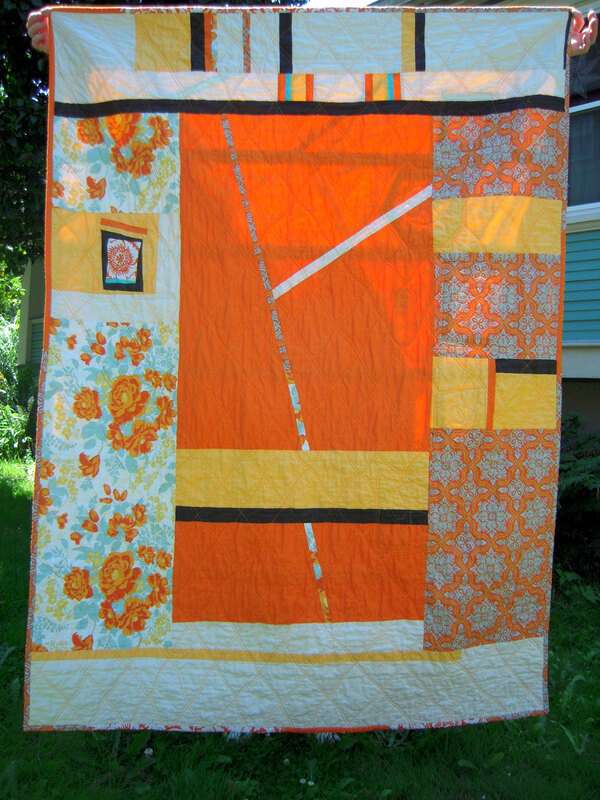 I finished the orange stripey quilt I’ve been working on ~ YAY! 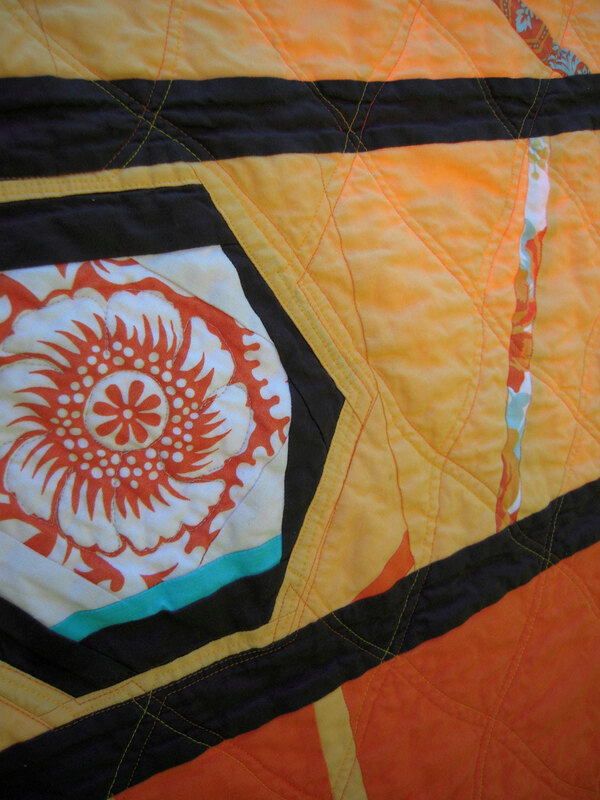 It was a total improv quilt using solids and some prints from the Joel Dewberry Heirloom collection. 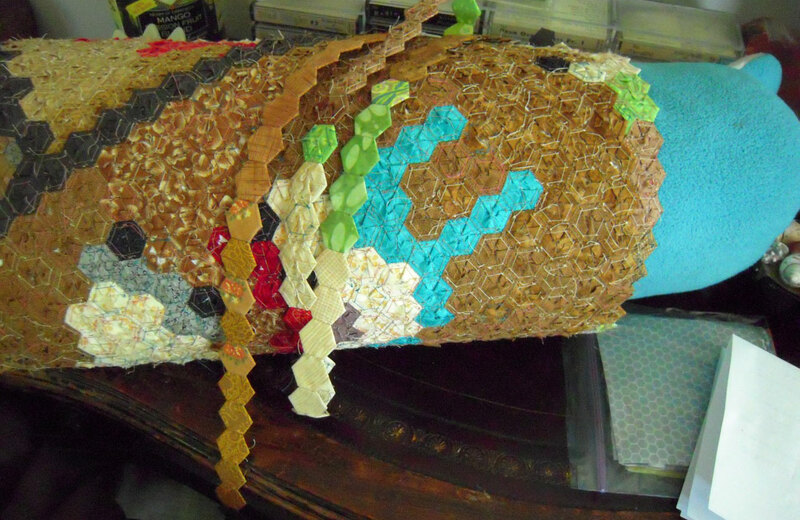 I’ve been rolling the part that’s sewn together around one of my daughters old stuffed animals ~ it’s long and round like a bolster (only lighter) and If I wrap the quilt around it, it keeps it at a nice height on my lap to sew ~ as well as keeping it all together… it’s starting to get big!! 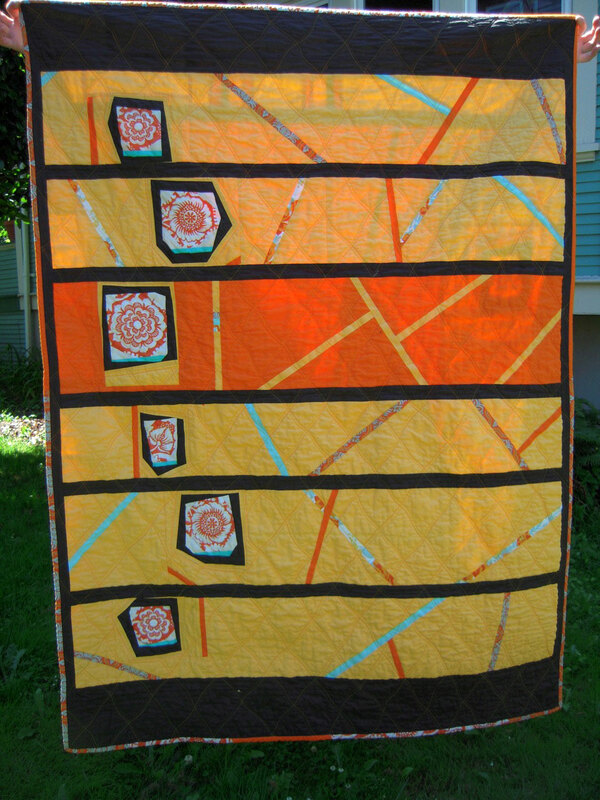 I am so inspired by your orange improv quilt! That is going to get lots of attention, I have no doubt. Congratulations on getting it finished.